Lou Alder is one person, but exists in two separate realities: one in which he is Louis, and one in which she is Louise. The prolific Julie Cohen’s latest book is a Sliding Doors-esque tale, exploring what a person’s life would look like if they’d been born another gender. There are parts of Lou’s existence that are the same in both lives – their best friends (twins Allie and Benny), the workers’ strike that tears their small town of Casablanca apart, their eventual relocation at eighteen to New York City – but there are parts that are incredibly different, too. Louis is an almost-divorced author, and Louise is a school teacher and single mother. Their relationships with their parents and friends are different in each timeline, as are their reasons for leaving Casablanca in the first place. But their shared reason for returning – their dying mother – makes all the ugly and beautiful parts of their lives come to the fore. Louis & Louise offers a sentimental, often moving glimpse into the everyday aspects of two lives, and how the minutiae of our relationships with others – and single, seemingly innocuous actions – can affect us years into the future. 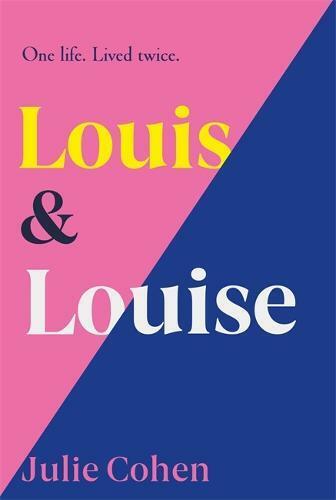 Hopping back and forth in time between Louis’ and Louise’s perspectives – with chapters simply from the perspective of ‘Lou’, the same either way – it gently unfurls stories that illustrate the redemptive power of forgiveness, and the simultaneous simplicity and complication of both romantic and familial love. Cohen has called it her most personal work yet, and it shows – this book trembles with feeling, spanning the spectrum from joy to sorrow, anger and everything in between. A great summer read for fans of contemporary family fiction, with a dash of romance. Giselle Au-Nhien Nguyen is from Readings Doncaster.